Wright, Matthew. 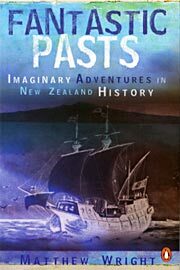 Fantastic Pasts: Imaginary Adventures in New Zealand History . Penguin 2007. Summary: Collection of short stories imagining the effects of altered events in New Zealand history.